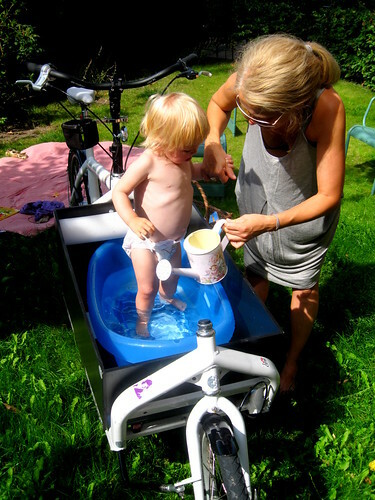 I just fired off a quick tweet about "World's First Cargo Bike Bathtub? ", feat. Lulu-Sophia two summers ago. What should we call them? Last week we featured the Piecycle. What about Poocycles?